NEW YORK (AP) -- Dona Bailey was working as a computer programmer at General Motors when she heard the Pretenders song "Space Invader" and fell in love with it. The year was 1980. She had no clue about video games. A friend heard her say that she liked the song, and he got really excited. He told her there was a "Space Invaders" game at a bar nearby. They went to lunch so she could see what that song was about. "He gave me a quarter and I lost all my lives before I could even figure out what I was supposed to do on the screen," she says. "But I got really intrigued." That's how she came to join Atari, the company that cemented the video game industry in the 1970s and early 1980s with "Pong," and thanks in part to Bailey, "Centipede." Though she stayed only two years, Bailey left her mark as one of the rare female programmers at Atari. There wasn't any "Googling" in those days. Finding out more about the world of "Space Invaders" and arcade games meant asking around. "Within a month or so, I heard about Atari," she says. She found out that the company, founded 40 years ago this week, was using the same Motorola processor to program games that she was using at a GM plant in Santa Barbara, Calif., to program climate-control displays in cars. She was hired at Atari in 1980 as the only female programmer in its nascent arcade division. 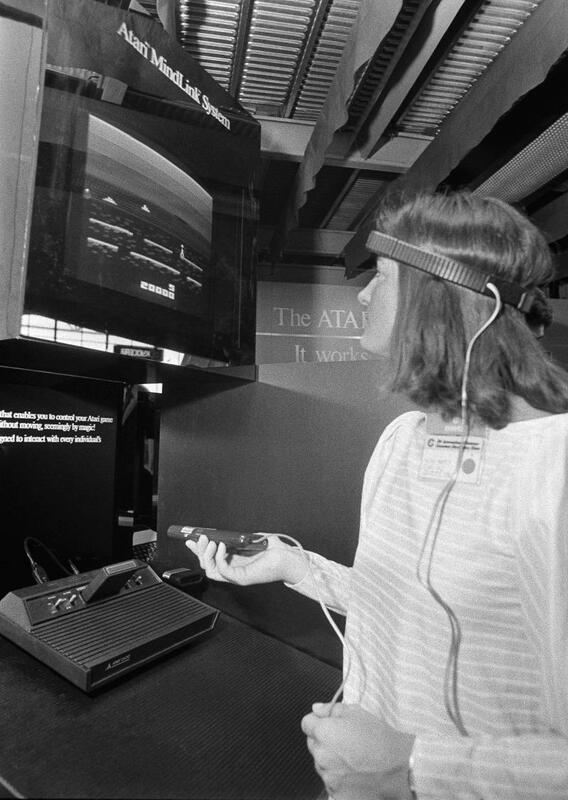 When she left a much-larger Atari two years later, she was still the only one in that division, and one of the few in the entire company. It would be tempting to say women have come far since then, and in some ways that is the case. It's rare today to have just one token female engineer at a tech company. Yet three decades later, there's still a dearth of female programmers in Silicon Valley and beyond. Much of that goes back to education. Women receive fewer than a fifth of the bachelor's degrees awarded in computer science, even though they get nearly 60 percent of all bachelor's degrees, according to the National Science Foundation. In 1980, 30 percent of the computer science degrees went to women. Trailblazers such as Bailey often found themselves alone in a sea of men, giving them a peek at male culture that few women had access to. "It was interesting to see how a male society functioned," she says. "It was kind of rough sometimes, too. It was a culture that I don't think they were thinking 'there is one woman, we should modify our behavior for her sake' ... I grew a thicker skin." She recalls a notebook that Atari had at that point, filled with ideas for about 30 game projects. The only idea that she didn't find violent was a short, two-sentence description about a multi-segmented insect that walks out on the screen and winds its way down toward the player. "The shooting part was left kind of implied because if the multi-segmented insect is the bad thing and the player is at the bottom, you kind of have to shoot," she recalls. "But it didn't seem that bad to shoot a bug." The idea of the game appealed to Bailey, so she began work on the "Centipede" project. She was the software engineer on the four-person team. There were no books, no tutorials, "no place to go when you needed help," she says. "Centipede" came out in 1981. To play, you popped in a quarter and used the arcade's trackball to move your character at the bottom of the screen. You shoot the centipede as it winds its way down the screen, along with the occasional spider. "I always thought it was really beautiful, like a shimmering jewel when you walked into the arcade," Bailey says. Bailey worked on one other game after "Centipede," but it never came out. Because processors were so limited at the time, she couldn't make the game look and do all the things she wanted. She left Atari soon after that, at 26. Today, Bailey teaches rhetoric and writing at the University of Arkansas at Little Rock. She lost contact with Atari until about a decade ago, when there was renewed nostalgic interest in the company. Books came out, and she had a few interviews, she recalls. Students in her class made a Wikipedia page for her. "As a highly successful arcade game produced by Atari, Centipede also earned a name for itself for being the first game to begin luring women into the video arcades across the United States," one sentence reads. Someone added the note "citation needed." Atari turned 40 this past Wednesday. "I hadn't realized that it was 40 years," she says. "Centipede came out 31 years ago, which seems long enough. '40 years of fun' is the greatest slogan, but it made me gasp. So much of it seems like yesterday."